A Limited Liability Company, as its name implies, provides limited liability for its members-owners. It is an excellent asset protection tool. 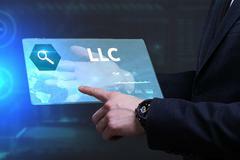 The members of a limited-liability company are not normally liable for the company’s obligations, but note that there can be exceptions if the LLC is not properly operated. A Limited Liability Company can be best described as a hybrid between a corporation and a partnership. It operates with the ease of a partnership and at the same time enjoys the protection of a “corporate veil”. LLCs are powerful when used as a "holding" company for assets, bank accounts, and other business interests. You do not have to live in Missouri to own or manage a Missouri LLC and it can own bank accounts in any state.